And I'm pulling out of here to win"
Giggs to get the gig? According to newspaper reports this morning LVG has agreed a deal to manage MU. The reports have been played down by MU who have said they have not signed a new manager (which means of course that LVG could certainly be in talks with them). LVG also has an offer from Spurs. MU could do very well in their last four fixtures under RG all which look winnable. One problem for Giggs is that Slur Alex has said he should get the gig full-time (see Moyes etc). LVG is 1/5 and Giggsy is around 10/1. The latter price is with WH and SJ and I have had an interest. It's a very volatile market but as I write 10/1 is available in two places and 9/1 in several places. Suffering from jet lag and then injured during the first set, she battled well to get back to one set all. Was blown away by a solid Pennetta in the decider. That's it, will have to hope Liverpool can land the Premiership to improve the 2014 profit line. Stuttgart is underway and I've played an inform German at an attractive price. This is an indoor clay court event. 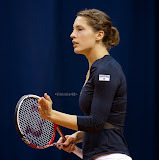 Petkovic won the recent Charleston event on (American) clay before taking out Stosur in the Fed Cup down-under. Pova, A-Rad and the inform Kerber are in the other half of the draw. Stan has contracted to a best price 12/1 for the Paris gig which starts in five weeks' time. I believe that price (available with Spreadex) is worth taking if you missed yesterday's 16/1. Another reason for his price reduction, other than his defeat of Ferrer, is the injury to Djoko's wrist. The latter is as short as 5/4 to win the French Open despite the need to be out of the game for sometime which puts his participation in the second grand slam in some doubt. Can we exploit the market given Djoko's short price? Whoever wins the Monte Carlo final today will be ranked the Swiss number one and hence the world number three. I think it's unlikely that the two Swiss players will be ranked anything other than three and four at the start of the French. Djoko is not really a value lay on betfair as he has already drifted to 4.4 and could of course recover. If you cannot access 18/1 I would take 16/1 available in several places. Could Stan win the second grand slam as well as the first? After some moderate results immediately after his Australian Open triumph he is playing well again. He took care of David Ferrer in straights sets today (Monte Carlo). Ferrer had been playing well too and surprisingly beat Nadal here - the first time he has beaten him on clay for something like ten years. Today I had my first visit to The Charlton Arms (Ludlow) since the new owner has been in situ. It's now owned by Cedric Bossi whose brother Claude owned Ludlow's Hibiscus restaurant (a two-star Michelin establishment) which relocated to London in 2010. The place has certainly been smartened up since the last time I was here. Chose a restaurant seat with a lovely view overlooking the river. To start I went for the prawns with chorizo, garlic, white wine and chilli. Served with bread in a skillet. Pipping hot (temperature) and plenty of flavour. To follow I selected the Welsh sea bass served with new potatoes. The fish was cooked perfectly. Found it a little odd that I was not offered the wine list. However this may well have been because I was already enjoying an excellent pint of Hobson's Best (tasty but moderate strength - 3.8%). Other than a slight hiccup with the bill it was an excellent lunch, one that I would recommend and hope to repeat soon. Bubba Watson and Matt Kuchar are the bookmakers' market leaders as the final round of the US Masters approaches. Yet I believe there are reasons to oppose both. Bubba was five strokes clear of the field after an eagle at the second yesterday. Now he is joint leader. Despite having God on his side you could argue that he has already blown up. His driving could keep him in contention today - although his putting on the quickening greens could let him down. Matt Kuchar, although in great form, has been over par in his last four final rounds on tour and that could happen again today as he is in contention. I thought Chelsea were a bit unlucky to concede three times in Paris last week. I think they could still come through their tie at Stamford Bridge tomorrow. Certainly if anyone can turn it around it is Mourinho. He is not blessed with the greatest strikers - Torres (no goal in last seven matches), Eto'o and Demba Ba - but maybe Schurrle or Hazard can score. The ties take place in September. With home advantage France are probably slight favourites ahead of the Czechs to reach the final. (Depending as always on who is fit of course). Italy have a tough task in Switzerland though - I doubt that the Swiss will be choosing clay! However we have seen that Stan can be vulnerable, although not vulnerable enough yesterday for my bet against him. Switzerland are in a perilous position in their tie trailing Kazakhstan 1-2. This is a huge surprise as they were expected to come through comfortably. Wawrinka lost his opening singles on Friday and then teamed up with Federer to lose the doubles yesterday. So that's six hours play in two days' losing matches. He takes to the court again at 12:30 to play Kukushkin who was not involved in the doubles yesterday. On rankings alone it should be a stroll. World ranking number three plays number 56. However Stan has looked nervous in front of his home crowd and of course should he lose the Kazakhs go through. She is 300/1 with Sportingbet as I write. Most bookmakers offer NRNB but Sky are already offering BOG for this market.